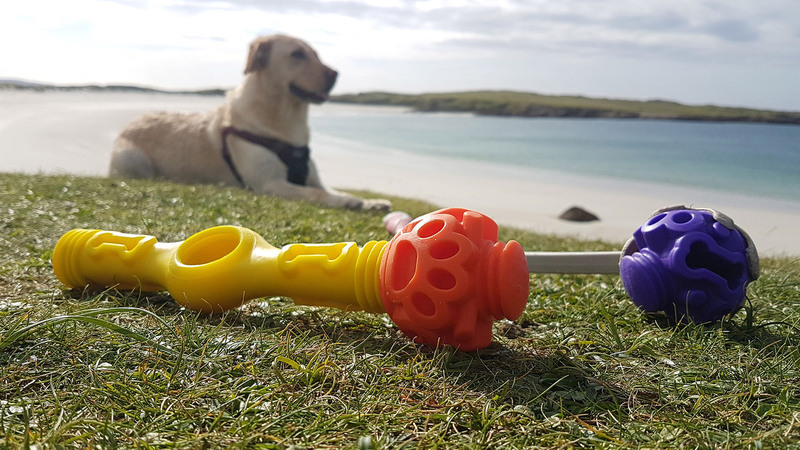 Dog Day Design Ltd has obsessively designed, tested and developed a range of unique connectable dog toys called K9 Connectables, aimed at the high end of the market. Using 3D printing as our prototyping method and a pack of hungry, high-energy dogs as our test subjects, we were able to quickly identify features that worked and those that did not. We created and tested over fifty prototypes until we got to three designs that we felt would work. 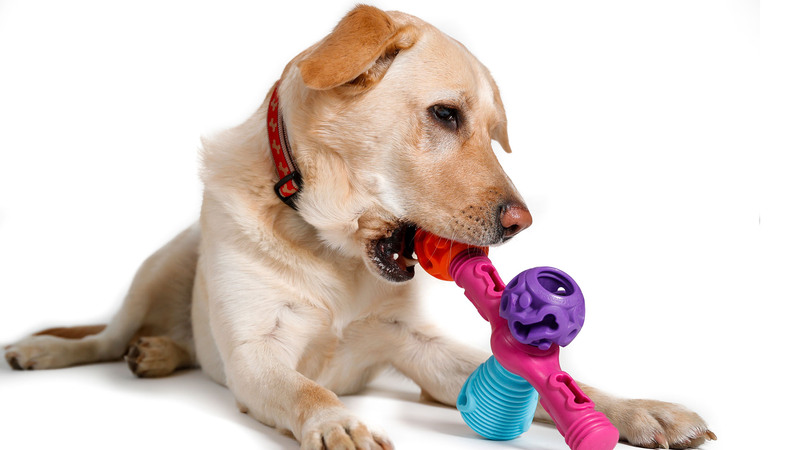 We worked with dog-behaviour experts, trainers, vets, and the Association of Pet Dog Trainers on what the best aspects of toys on the market were, and how to improve on existing ideas. The unique aspect of the K9 Connectables design is that they connect together to form large assemblies that can be broken apart by dogs, which triggers treats to be dispensed or licked out, for even more effort. There are four different levels of difficulty for dogs, ranging between 7kg and 30kg, to figure out how to break apart and get their treats. The final products are made from a durable TPE, which was very close to our prototyping material, which allowed us to have great confidence in testing and the development of the 3D-printed designs. A tremendous amount of work went into testing the actual connection system, which is currently patent pending. The connections needed to be easy enough to connect together for those young and old, with limited dexterity, but, crucially, difficult enough to be a challenge for dogs to break apart with their powerful jaws. We achieved this by using an inverted notch on the head of each toy (two or more for added difficulty), then, for the female connection, we used the same notch, but reversed. This created a fishhook-/arrowhead-type situation, which worked well for our goals. The toys are tested to British children’s toy standards, float on water, and are dishwasher safe. 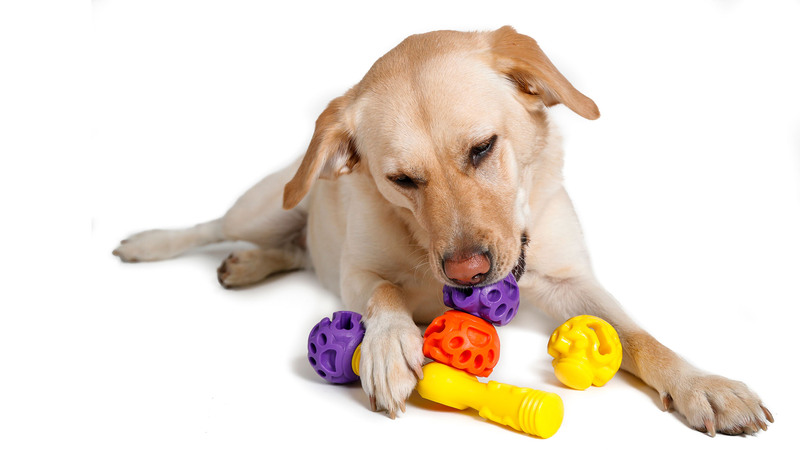 K9 Connectables help dogs to settle, be calm while their owner is out, promote appropriate chew items, and prevent unwanted behaviours from forming. These completely unique dog toys entertain and challenge dogs for sustained periods of time, are excellent for mental stimulation and exercise, and engage dogs’ primal instincts.